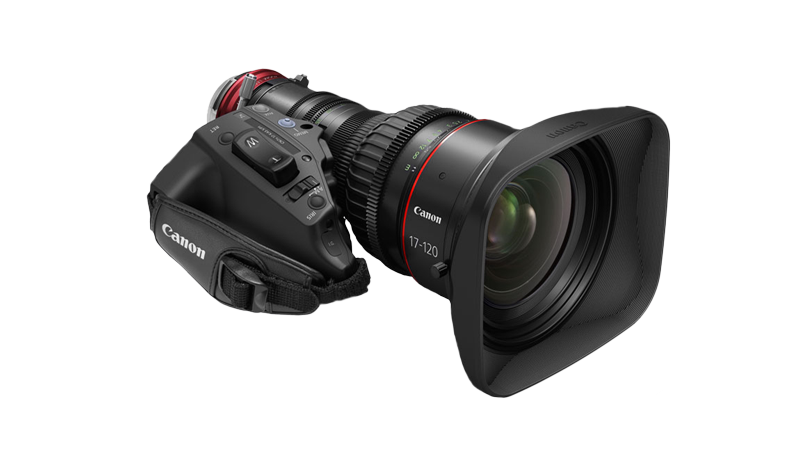 The Canon CN7x17 KAS S Cine-Servo 17-120mm T2.95 with PL mount from Canon is designed to combine the functionality and form factor of a broadcast, ENG-style motorized zoom lens with the optical precision of a cinema zoom. The lens is designed for use on cinema cameras with sensors up to Super 35mm (26.2 x 13.8mm) in size and is suitable for 4K acquisition. With a detachable drive mechanism and support for rod attachment, it is designed to be equally at home whether being used by a solo camera operator or a full production team.